Welcome to Mary’s Birthday Giveaway! get a chance to win one of 3 prizes from Mary’s Heirloom Seeds. That’s “Auntie Mary” on the right! 2 Winners will receive an assortment of Heirloom, Non-GMO seeds as well as organic gardening supplies totaling over $60 in value. Each prize pack Includes (but not limited to) Radish, Golden Beets, Squash, Chinese Cabbage, Culinary and Medicinal Herbs, Beans, Peppers and Tomatoes as well as Coconut Coir Pellets for seed starting made simple AND Organic, Vegan Plant Nutrients. 1 Winner will receive the Baker’s Dozen heirloom seeds variety pack. Easy to grow and wonderful to eat. This pack contains a large variety of seeds for a very low cost. 13 seeds from 13 varieties. Includes: Calabrese Broccoli, 5 Color Silverbeet Swiss Chard, Black Beauty Eggplant, Waltham Butternut Squash, Tam Dew Melon, Bloomsdale Spinach, Cal Wonder Bell Pepper, Marketmore Cucumber, Pink Oxheart Tomato, Atomic Red Carrots, Self-Blanching Snowball Cauliflower, German Giant Radish, Detroit Dark Red Beet. 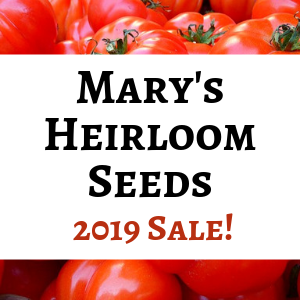 At Mary’s Heirloom Seeds, all of the seeds listed are open-pollinated, non-gmo and non-hybrid, non-patented, untreated, heirloom garden seeds. 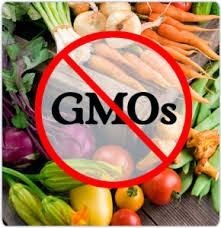 All of are seeds are sourced from small, family farmers and seed growers. Mary’s Birthday Giveaway opens 9/12/2014 and closes 9/20/2014 at midnight EST. » Self Reliance Bloggers’ MEGA Giveaway! Laundry Day with Kevin’s Quality Clothespins! My garden was a mess this year, but we’re starting to get some nice heirloom beets. German Johnson tomatoes and small organic cucumbers. Cucumbers are my favorite food! I do. It is a type of tomato that has been passed down for generations within my hubby’s family. I don’t know its name, but it is delicious! Yes, I grow beefsteak tomatoes which are heirloom. Thanks! I don’t have my own garden yet but I hope to very soon! I just started with herbs. I don’t grow any heirlooms yet, but I would love to try some! Pineapple Tomatoes. They are the best. I started over with new tomato plants for fall! My neighbor’s tomatoes are amazing, mine not so much… 🙂 thanks for the giveaway! Big Red and San Marzano tomatoes are my favorite heirlooms to grow. 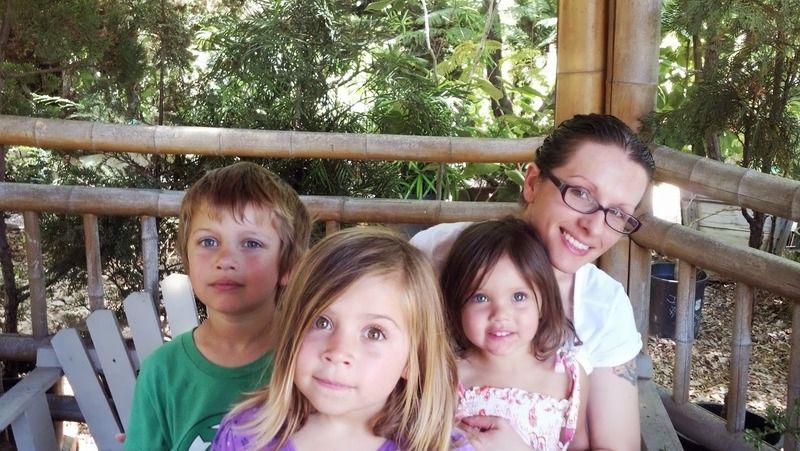 They did OK this summer; but, we fought hornworms, blight, and slightly alkaline soil. My mantra: next year will be better! I didn’t have a very good tomato year either, Brenda. Best wishes for next year! I can’t wait for spring planting season! I would like to get started with heirloom organic seeds for my garden next year. I’m in western PA which I think is zone 9. I grew up not far from there in Western NY…which was a zone 5, so I think you would be zone 5a or 5b. Hope this helps! Best wishes! Thank you, Lisa! I looked at the newest updated map and saw my area is between 5a and 5b. What a great assortment! Thanks for sharing! They’re all my favorites, but I love Rossa Sicilian heirloom Tomatoes! My Orient Wonder green beans did great this year! That’s great! I’ve never tried those. Awesome giveaway, Thank you for this opportunity! I just tried the heirloom tomato, Mr. stripey, this year..it did very well considering an early tomato plight started early because of the excessive cool/dampness we encountered . Looking forward to making the garden more “heirloom” efficient! I hope your tomatoes do better next year! I love fun heirloom carrots and parsnips! I have Mortgage Lifters in my garden as well as Georgia Rattlesnake watermelon. Best wishes with your raised beds next year, Gina! I have some heirloom red fife wheat. I love it! How much do you grow? I have always wanted to grow my own grains, but we don’t have much room. Many Thanks to Mary for sponsoring the giveaway!